In September 2016, a pseudonymous writer attempted to offer an intellectual justification for the election of Donald Trump as President of the United States. He titled his article “The Flight 93 Election,” and argued that the consequences of a Hillary Clinton presidency were guaranteed to be so dire, it was reasonable for America to take its chances with Trump. Just as it made sense for the passengers of the hijacked United Airlines Flight 93 to risk their lives charging the cockpit rather than face certain death by doing nothing, the author suggested that it made sense for America to gamble on Trump rather than face certain annihilation by electing Hillary Clinton. The author of the piece, Michael Anton, is now a national security staffer in the Trump administration. I won’t bother engaging here with the substance of the article, including its fascistic sympathies, anti-Islamic bigotry and failure to take seriously the risks to America and the world of electing a mentally and emotionally unwell, demonstrably incompetent, unapologetically corrupt, serial sexually abusing, racist and nativist demagogue with a loyalty to Vladimir Putin and no respect for the U.S. Constitution or the rule of law. My purpose here is, instead, to suggest an alternative metaphor for the 2016 presidential election, and for the decision of most conservative Republicans, with a few brave and principled exceptions, ultimately to support Trump. One year after November 8, 2016, it is clearer than ever that the Trump-Clinton contest was not the Flight 93 Election. It was the Arlington Road Election. 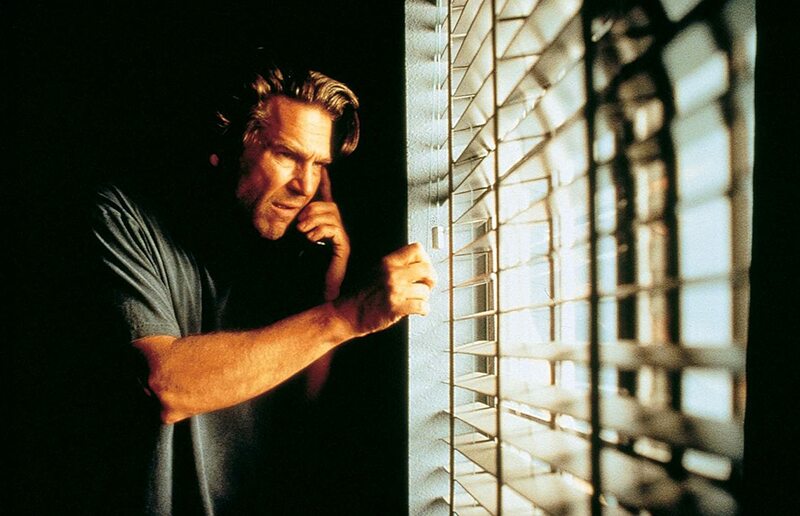 In the 1999 film Arlington Road, Jeff Bridges plays a widower and college professor who suspects that his neighbors, played by Tim Robbins and Joan Cusack, are secretly plotting an act of terrorism against the United States. Bridges’ wife died in the line of duty while working for the FBI, and he brings his concerns about his neighbors to the Bureau. But the FBI dismisses him as paranoid. Meanwhile, Bridges continues to accumulate evidence of his neighbors’ sinister plot to attack the federal government. In the movie’s climactic sequence — SPOILER ALERT! — Bridges follows a delivery van that he believes contains his neighbors’ bomb. The van enters the basement of FBI headquarters. In an attempt to prevent what he believes to be an imminent attack, Bridges forces his vehicle past a security checkpoint and alerts the authorities. Too late, he discovers that the delivery van is empty. He returns to his own vehicle and finds that the terrorists have placed the bomb in his trunk. It detonates. It was only because of his desperate attempt to prevent the attack that the attack took place.